Hello, Fantasy Baseball fans and welcome to the Week 17 Waiver Wire. The trade deadline is a chance to step back and take stock of the franchise’s direction. Normally, only a small fraction of rumored trades actually end up happening. A team’s willingness to swap players show where they believe their teams are between contending for a World Series or playing for the future. For a few teams, the choice has already been made. 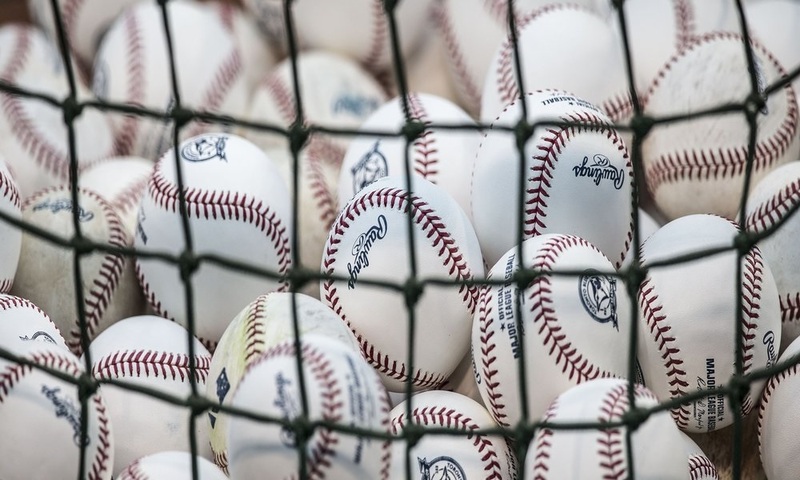 These are the clubs on the end of the baseball scope: the bottom dwellers already committed to putting the present in order to stockpile young talent and the clear front-runners who can begin fine-tuning their playoff rosters now. The majority of the league faces the dilemma of facing the decision to buy or sell. Any errors can handicap a franchise for years. I hope that your favorite teams get who they want in trades. In addition, I hope you get who you want and need in the players reviewed on the Week 17 Waiver Wire. Francisco Cervelli was activated off the disabled list on July 3 after a lengthy battle with recurring concussion symptoms and a viral illness. He has come back strong in his return to the lineup. Before Friday, Cervelli had a .359 batting average, .444 on-base percentage, and .983 OPS in July. Of his 15 multiple-hit games this season, five occurred in his past seven starts. Also, he does have a fair increase in extra base hits, already logging more this season (19) than he did all last season (14). With five home runs so far, he is on pace to hit more long balls in 2017 than he did in his breakout 2015 season (seven). As a result, he already has 30 RBI and should easily surpass his 2015 RBI total of 43. His offense has rebounded from an injury-riddled 2016 season. Furthermore, Francisco Cervelli is also reaching base on a generous .365 clip, which makes an attractive addition in formats that concentrate on on-base percentage in place of batting average. Look for Cervelli to continue to build upon his career season and become a definite add and start in two-catcher leagues and someone to start in deeper mixed formats. Danny Valencia started off slowly this season but has rebounded nicely to be a useful option in deeper leagues. Valencia was acquired in the off-season to add a potent right-handed hitter to team up with first baseman Daniel Vogelbach or possibly play a corner outfield spot. Valencia was placed into an everyday role at first base and has performed quite well, due to the ineffectiveness from Vogelbach. He’s now slashing .269/.327/.425 with 11 homers, 49 RBI and 43 runs scored overall for the season. He is just short of last season’s 51 RBI in 46 fewer games played. His moving from a weak lineup in Oakland to a more dangerous Seattle unit has paid benefits for Valencia’ counting stats. With the Mariners going nowhere this season, Valencia should be on the trading block and could be a valuable addition to a contender considering his ability to play multiple positions. Unfortunately, this might actually damper his Fantasy stats, because he could end up on the bench more than in a starting lineup. Danny Valencia should be added in deeper mixed formats and a useful option in AL-Only leagues at the CI slot in both formats. The Royals found a gem out of nowhere in the 28-year-old Whit Merrifield. 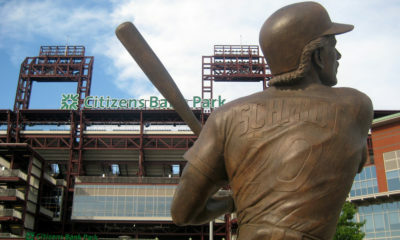 He is currently slashing .293/.337/.489 with 10 homers, 41 RBI to go along with 39 runs, .826 OPS, AND 16 stolen bases. He is now on pace to clear 15-plus homers and 25-plus steals with a strong batting average in 2017. His breakout shored up the Royals’ leadoff spot and a huge reason the Royals are surging and in the hunt for an AL Central title. The Royals will need him to stay hot if they want to continue to make a run at the division crown. Overall, he has proven to do a little of everything and making an impact in multiple stat columns. For whatever reason, Fantasy owners are still slow to take notice, but he should be part of your Fantasy team because he is the type of player that can lead your team to a championship. Do your Fantasy team a favor and add Whit Merrifield immediately. Castellanos got off to a dreadful start the first two months of the season, hitting rock bottom in May where he only managed a .175 AVG. By that point, most Fantasy owners threw in the towel and rightfully dropped him. As the weather got warmer in June, Castellanos rebounded in a huge way. He posted a .308/.357/.545 average with five homers and 14 RBI in June. The Tigers’ lineup took a big hit when they traded away J.D. Martinez to Arizona. Castellanos had been batting fifth against righties and second against lefties. After the trade, the young third baseman has often been sitting in the two hole lately. Nick Castellanos looks to be a nice second half rebound candidate, yet still available in over 50 percent of ESPN leagues. He has continued his hot hitting into July. He is hitting .320 (24-for-75) with five homers and 15 RBI. Castellanos is worth picking up in all leagues for a serviceable corner-infield option. Paul DeJong has taken St. Louis by surprise this season. He came up to make his big-league debut and shuffled between Triple-A Memphis and the bigs earlier this season until Aledmys Diaz started to scuffle which eventually led to his demotion to the minors. DeJong has been impressive this season. He is slashing .284/.299/.574/.873 over 169 at-bats for the Cardinals. It is becoming increasingly apparent that DeJong will continue to start at shortstop through the balance of this season. His power is legit, considering his .571 slugging percentage with Triple-A Memphis before his promotion to the majors. He has produced 12 homers in 169 at-bats and should get 20-25 homers this season. Paul DeJong makes for a good pickup for your MI/CI spot on your Fantasy team. Parra has been on fire since returning from the 10-day disabled list on July 7 due to a strained quad. He has posted six multi-hit games in eight games, including two or more hits in each of his past three starts. When healthy, Parra has slashed a productive .358/.381/.540 with eight homers, 40 RBI and eight walks over 187 at-bats. Hitters that play their home games in Colorado always get a boost and Parra fits that description. He’s a .423/.445/.644 monster at home, but just a .292/.333/.446 guy on the road. In July, Parra has 15 runs, two homers and 14 RBI with an OPS of 1.370. His ownership is tied directly to how flexible your transaction rules are. Parra should be owned in all leagues that allow daily lineup changes. You do not want to miss the advantage and/or production that he brings while playing in Colorado. In other formats, he should be owned and streamed for weeks where he plays predominantly at home. First of all, Odubel Herrera is finally looking like he is regaining his form that saw him hit .286/.361/.420 with 15 homers, 87 runs and 25 steals last season. Herrera struggled badly in the first months of the season in trying to live up to last season. He has turned it around since the All-Star break. He is hitting .419 with a 1.142 OPS since the All-Star break. Overall, he is batting .271/.313/.436 with nine homers, 36 RBI, and five stolen bases this season. Although the young outfielder really has not provided helpful Fantasy stats so far this season, with this latest streak, he should be picked up in most Fantasy formats. Therefore, if he was dropped in your league, I would scoop him because he is worth the look on a cheap investment. Nick Williams, acquired from the Rangers two seasons ago in the Cole Hamels deal, became a regular in the Phillies’ outfield as Howie Kendrick (hamstring) and Aaron Altherr (hamstring) have been out of the lineups. The 23-year-old rookie outfielder has a stellar .309/.347/.603 line with four homers, 15 RBI, and 10 runs scored in his first 19 games of his MLB career. Nick Williams has hit safely in eight consecutive games, batting .375 with two doubles, two triples, and two home runs. He has multiple RBI in five of those contests. 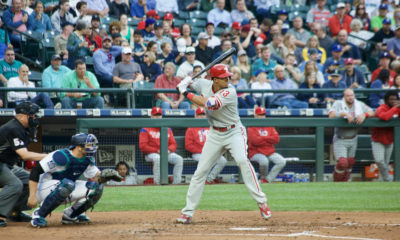 His current streak prompted the Phillies to move up Williams to third in the batting order, creating more opportunities for Fantasy success. Nick Williams is a high ceiling prospect who could top 20 homers and 10 steals regularly. He is definitely worth a look as a potential flier if you are need of outfield help. CC Sabathia is one of the Yankees’ go-to starters and has been vital to their success in 2017. Without Sabathia, who is 9-3 with a 3.44 ERA in 16 starts, the Yankees would not be in the playoff race. Also, his win total has already matched his win total from last season and if he wins one more game, he’ll have his most wins in a season since 2013 (14). He has allowed two runs or fewer in eight of his past nine starts, lowering his ERA from 5.77 to 3.44. In addition, he is 7-1 during that stretch with 44 strikeouts in 50 innings. If he stays healthy, Sabathia is a great streaming option in all Fantasy formats. He has struggled mightily at home (5.29 ERA), consequently, he is best used as a streaming option on the road. He should be owned in more than 50 percent of ESPN leagues. 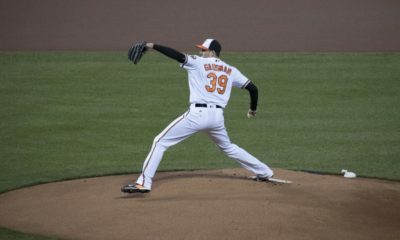 The 30-year-old right-hander has been on the disabled list all season due to a posterior impingement in his right elbow. He returned this past weekend and escaped with a no-decision after permitting four runs on four hits and two walks with four strikeouts over 4.2 innings. His Fantasy career has been inconsistent in recent seasons. He is normally a decent strikeout pitcher, close to one per inning. He carries sneaky Fantasy value heading into the second half on a pennant-caliber Astros ballclub. McHugh had a 3.71 ERA, 1.249 WHIP, and 8.4 K/9 for the Astros between 2014-2016. Fantasy owners should check on the availability of McHugh in their leagues. 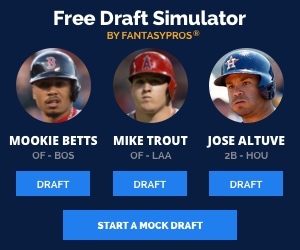 He is definitely a nice streaming option in all Fantasy formats and could help your teams in the wins and strikeouts categories. The 24-year-old rookie right-hander ranks fifth among Reds’ prospects according to MLBPipeline.com. He is already being compared to Mario Soto and Johnny Cueto after his six starts into his career. The Reds traded away their most consistent pitcher from last year in Dan Straily for the right to develop Luis Castillo. The rookie has been fairly impressive in his six starts. He has pitched at least five innings in each of his six starts and boasts a solid 3.86 ERA, 1.26 WHIP, and 11.05 K/9, which ranks as the ninth-best mark for any starting pitcher with 30 innings pitched. Home runs have been a problem (five in his first three starts) but a 56.2 percent ground-ball rate is very encouraging. Luis Castillo makes for a high-upside option with strikeout potential that should be added in all Fantasy leagues. The southpaw has been sharp since joining the Brewers’ rotation at the beginning of July. He has been up and down from Triple-A to the Brewers’ bullpen and now has done enough to keep a hold of his place in the rotation. Suter has yet to allow more than two runs in any of his four starts. He has permitted five total runs over his past four outings to trim his ERA from 4.20 to 2.84 with a 1.24 WHIP and a 32/10 K/BB ratio. He is definitely worth an addition in NL-Only Fantasy formats and should be owned in all deeper mixed formats. Eduardo Rodriguez rejoined Boston’s rotation this past week after being out since June 2 with a right knee subluxation. He struck out eight batters. He also walked four in 5.1 innings and gave up three runs in the no-decision against the Blue Jays. In his 11 total starts this season, he is 4-2 with a 3.66 ERA, 3.3 BB/9, and career high 9.9 SO/9 through his first 66 innings. Furthermore, Rodriguez last pitched on June 1 and he is now taking over for Doug Fister and will be inserted into the fifth spot in the Red Sox rotation. Also, the Red Sox have pennant hopes and their offense will provide more than adequate run support. The strikeouts will be there for the southpaw. Therefore, Eduardo Rodriguez is a definite add in AL-Only formats and no worse than a streamer in mixed formats due to the strikeouts and pitching for a winning Red Sox ballclub. Southpaw Alex Claudio is currently part of a closer-by-committee situation in Texas. He is the only left-handed reliever in the Rangers’ bullpen. While Claudio is pretty good, he has a 2.78 ERA in 126 innings since debuting in 2014. However, he’s not a strikeout guy and he’s a whole lot better against lefties than righties, making him most useful as a matchup guy. Claudio was the most effective Rangers’ reliever against left-handers in 2016. He held left-handed hitters to a .177 batting average with a 2.65 ERA. So far this season, lefties are hitting only .143 against Claudio. The closer position in Texas is a fluid situation at the moment. Matt Bush just suffered his fifth blown save of the season and that prompted his removal from the ninth-inning role. Keone Kela was the presumed favorite to take over as the closer, but he is nursing a sore shoulder. He was just activated off the disabled list. Claudio and Jose Leclerc were sharing save opportunities while Kela was unavailable. Claudio has three saves and has not been scored upon in five second-half appearances since the All-Star break. 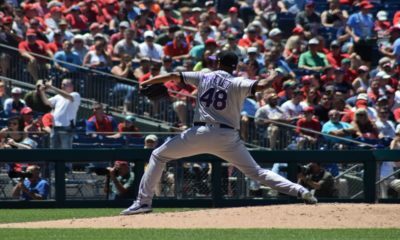 He has seized the opportunity for the ninth-inning duties with the Rangers. He is now posting a 2.42 ERA with a 1.02 WHIP and a 2-0 record with four saves and seven holds in 52 innings pitched. Claudio has never been a big strikeout guy and with Kela returning, his usage is in question. Also, he will likely be deployed against lefties regardless of the situation which will limit his save potential. Claudio is a cheap and sneaky source for saves. He is barely owned in Fantasy leagues. The caveat is that with Kela returning, Claudio’s opportunities will be matched up driven only against left-handed hitters. As a result, this hurts his appeal but still a viable option AL-Only leagues. Clippard was proclaimed the closer on his first day as a White Sox by Manager Rick Renteria, after he was acquired by the White Sox in a trade that sent third baseman Todd Frazier and closer David Robertson to the Yankees last week. The 32-year-old right-hander owns a career 3.06 ERA with 57 saves, 32 of which came in 2012 with the Nationals. Clippard struggled while with the Yankees this season, going 1-5 with a 4.95 ERA over 40 appearances. In his first appearance with the White Sox, he appeared in a non-save situation on Friday with the game tied in the 10th inning. After allowing a run on two hits, a walk, and a sac fly, he was given the loss. Tyler Clippard is a risky proposition for your Fantasy roster. There will not be an abundance of save opportunities with the White Sox club as they continue to rebuild. In conclusion, if you are desperate for saves, Clippard can possibly provide an adequate number of saves, but your peripheral numbers will suffer. Dennis Sosic is from Cleveland, Ohio and a HUGE sports fan including NFL and college football (GO BUCKEYES), MLB (GO TRIBE), NBA (GO CAVS), and MMA. WOW! Dennis finally did it! He broke down and gave in! Dennis joined the Twitter Universe! Please do all of us a favor and follow Dennis @ CALL_ME_SOS.